Amphibians: One rather orangey Common Frog. Today we drove into the past, into ancestral lands, to where our mitochondria told us we had arrived where we had been before and where we had spent a lot of time a very long time ago. 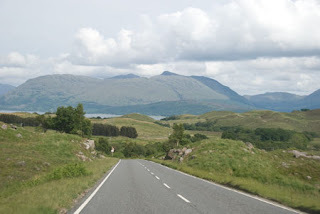 Drove northwest from Glencoe and took the ferry to Corran on the Morvern Peninsula. 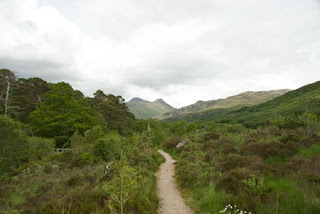 Morvern is located in southwest Lochaber on the west coast of Scotland. 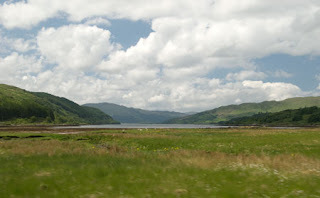 Our goal was to reach Strontian first (for a pit stop) and then head south to Kinlochaline Castle and the area around the town of Lochaline, Loch Aline, and Ardtornish Castle. This beautiful area was the seat of the MacInnes Clan and that is why we have come here. This area is one of the most remote areas of northwestern Scotland and is stunningly beautiful. The head of Loch Sunart. If you look very closely there are sheep grazing in the tidal marsh. Strontian is the main town in the area. 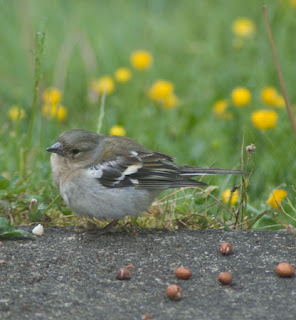 It's Gaelic name "Sron an t-Sitheinn" means nose or point of the fairies, referring to a knoll or low hill inhabited by the sidhe (pronounced Shee, meaning fairies). 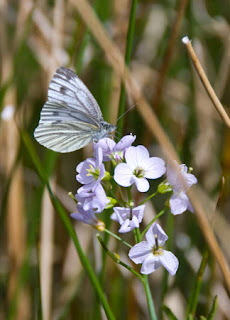 It lies on the north shore, near the head of Loch Sunart. The scones at the cafe there are pretty good and so is the tea. 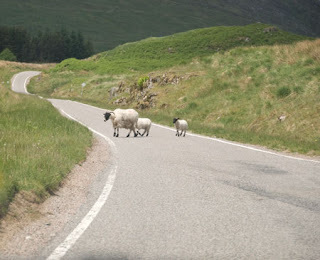 Rush hour traffic on the A884. 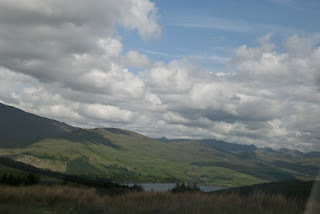 We then drove down the A884. This is mostly a one track road. For those not familiar with one track roads it means just that. The road is one lane on which you can drive in either direction. There are plenty of passing places though, little turn offs that you can tuck into so that someone can pass by you. It's kind of like playing a giant game of chicken. The rules are that whoever is closest to a passing place pulls aside and lets the other car continue along their way. It might sound really difficult but I found driving on these roads really enjoyable, although you do get to work on your sheep dodging skills. A good view of a "one track" road and "passing area." At the head of Loch Aline lies Kinlochaline Castle. 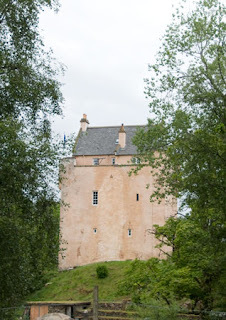 This is a classic tower house type of fortress, much like Castle Stalker (see previous post). Clan MacInnes were the stewards or keepers of the this castle for many generations. It is now privately owned and has been restored after having lain in ruins since the 1600's when the Marquis of Montrose lay siege to it and burned it. Interestingly enough, there were MacInnes' on both sides of that fight.... We walked up to the entrance to the driveway and snapped some photos. We then drove into the town of Lochaline to Kiel Church. 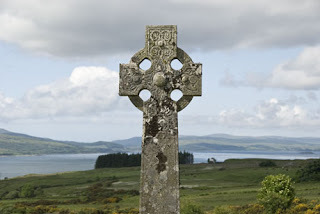 Several clan chieftains are reportedly buried here. We found one grave that was obviously of someone of some standing in the Clan that, unfortunately, was so weather worn, we couldn't make out the inscription, although the family crest was still visible. We investigated headstones and found many MacInnes' that had not been forced out during the Clearances (although many were, especially in Skye). 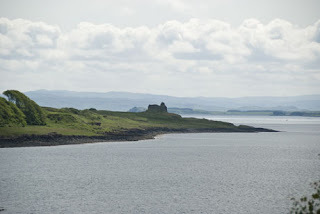 In Lochaline we also found a place with great views of the ruin of Ardtornish Castle, where in 1358 the MacInnes Clan Chieftan and his sons were done in by the McLeans at the behest of John Islay, Lord of the Isles. 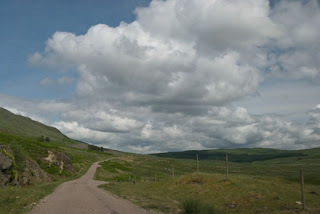 After much rumination about the area that had contributed in part to our genetic heritage, Traveler Two and I returned to Strontian, driving over vast mountainous vistas. 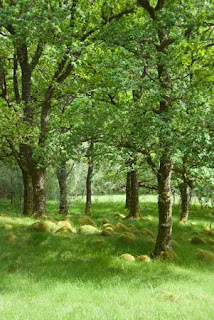 Our next stop was the Ariundle Oak Forest. This was an amazing old forest. You can imagine Ents easily living here. 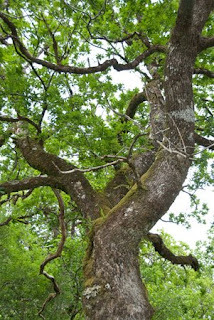 There trees have that sort of feel, very old and very much alive and aware. The forest is home to hundreds of different kinds of moss, liverworts, and lichens, as well as many species of butterflies and moths. Part of the pathway through the forest leads you out onto a bleak and woolly heath. Here there is evidence of circular stone houses (from the Iron age???). Sitting in a stone in the middle of a river, we watched a Golden Eagle fly by. 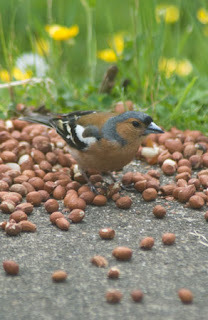 Later, back at the cottage, I amused myself by taking portraits of the Chaffinches in the backyard. 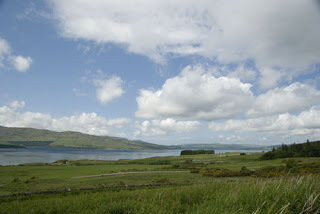 Saw your BLOG on Kinlochaline, I enjoyed your writings. I also have connections there and have been there many times. Perhaps we have met at the Games in New England. My family came from Scotland through eastern Nova Scotia in the late 1700's. Also have connections in Aroostook County, ME. My grand father was a potato farmer in Easton near Fort Fairfield. His ancestor was John Dorsey, one of the first settlers in Aroostook. 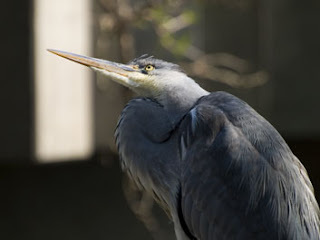 You are a fantastic photographer. Your closeups are incredible! Are you planning to return to Scotland? Sorry, didn't see this until now. That's amazing about the connection to Fort Fairfield as well. Small world. I don't remember a Dorsey in our family tree but you never know! I hope to return to Scotland someday. Glad you found the info useful. Keep reading. And if you visit this area let me know what you thought of it.